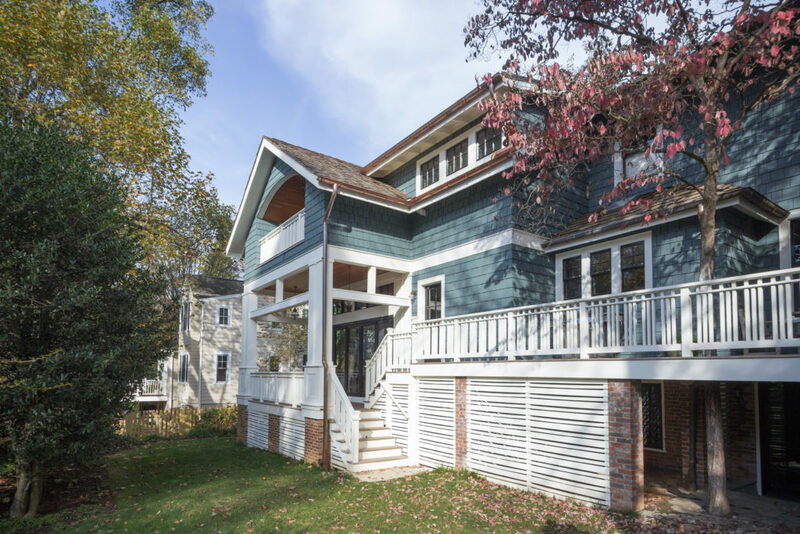 A two story addition to this home accommodates a great room at the ground floor and a new master suite and sleeping porch above. 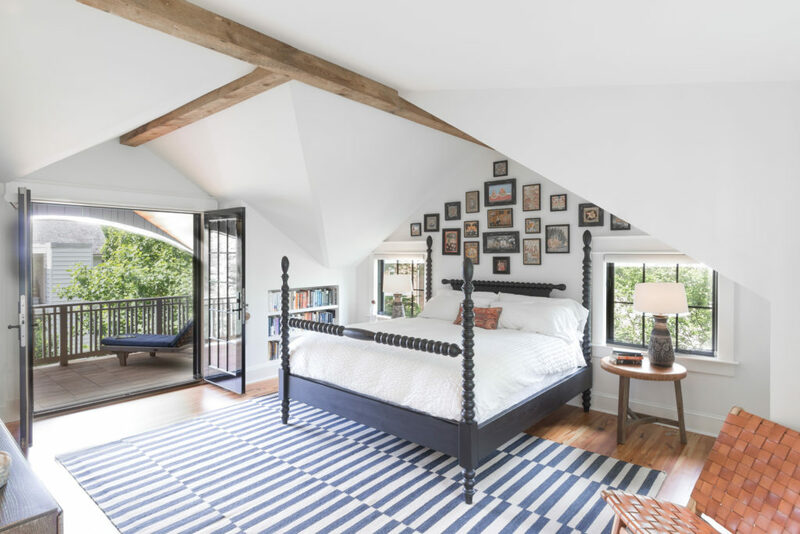 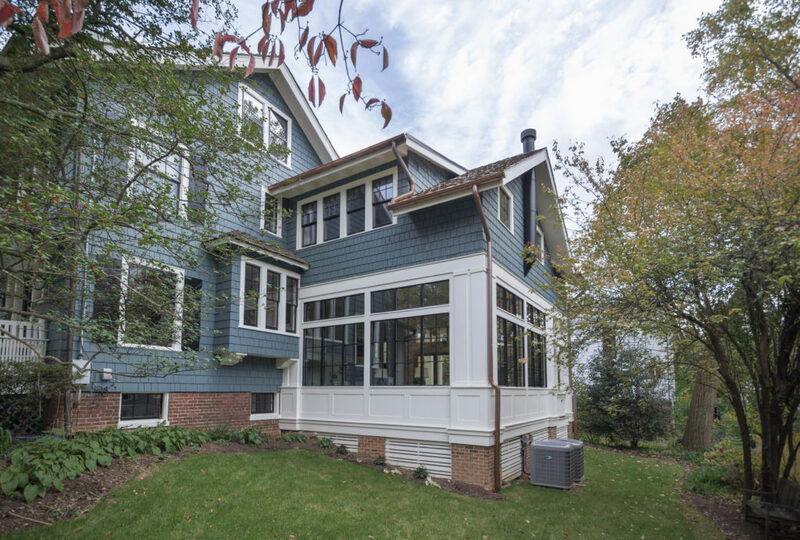 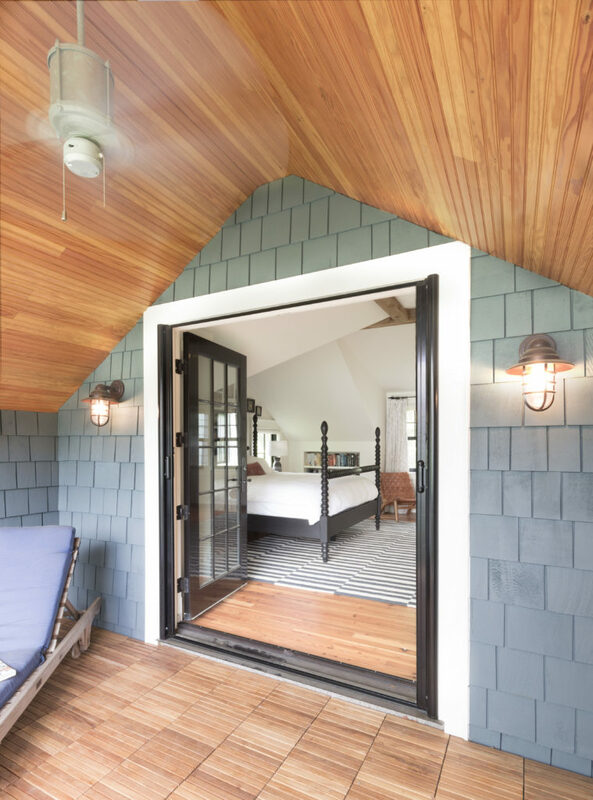 The bedroom and porch are tucked into the eaves to work with the existing roofline of the home. 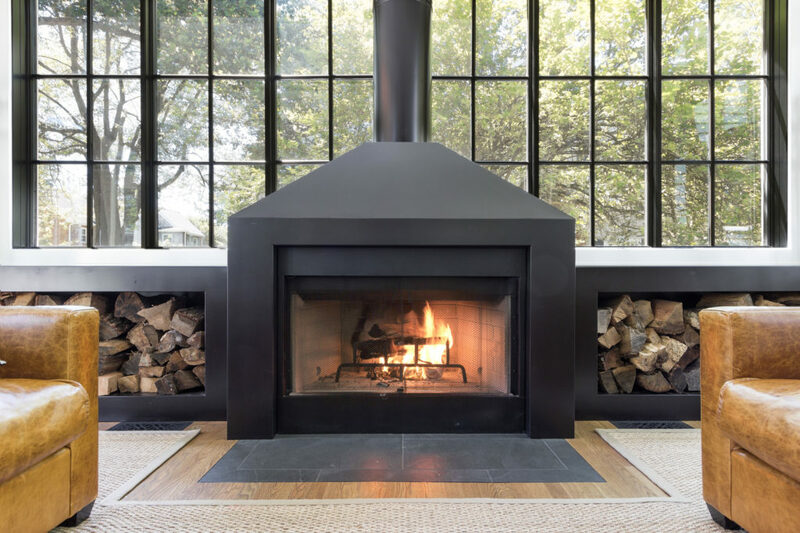 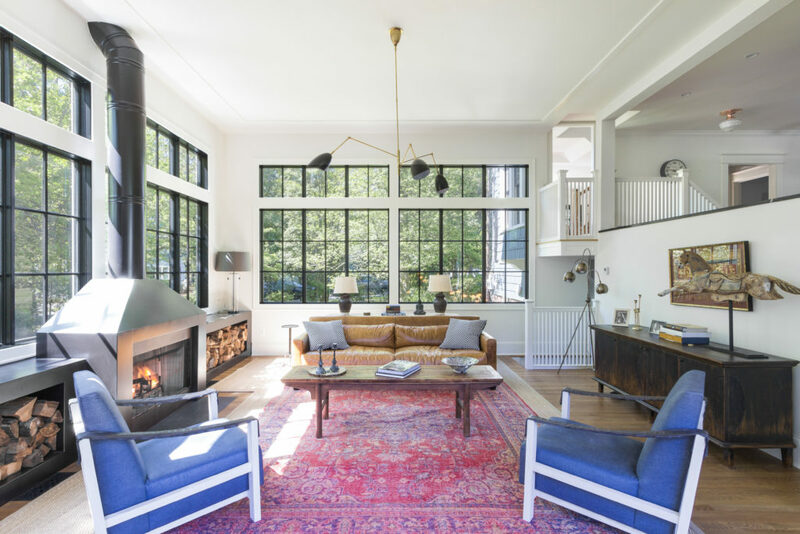 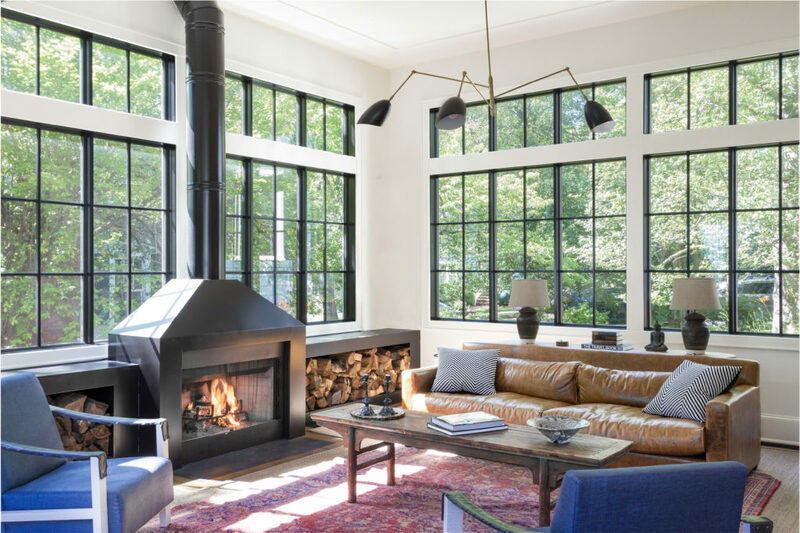 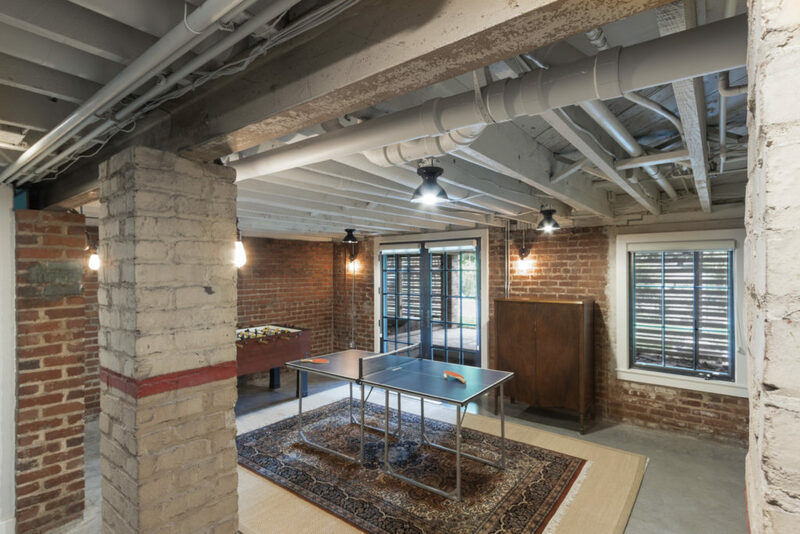 A steel fireplace flanked by wood bins punctuates the light-filled great room, which also serves as an access point to the rear yard and the newly renovated basement. 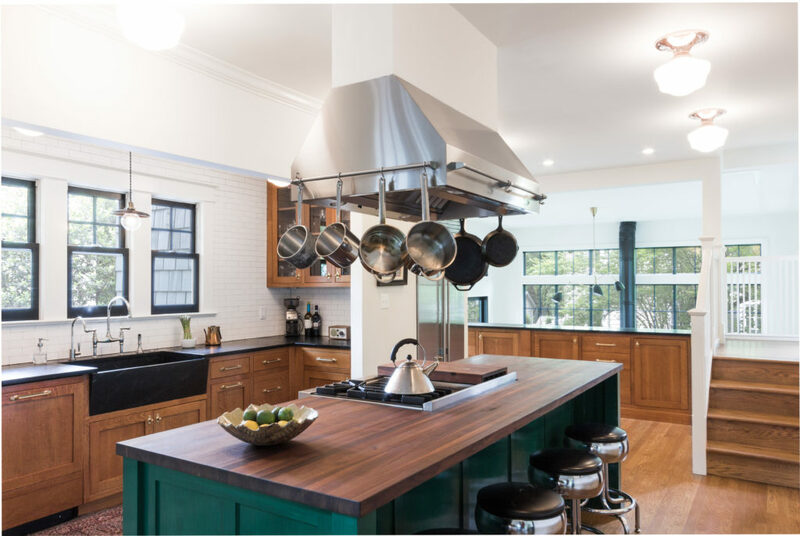 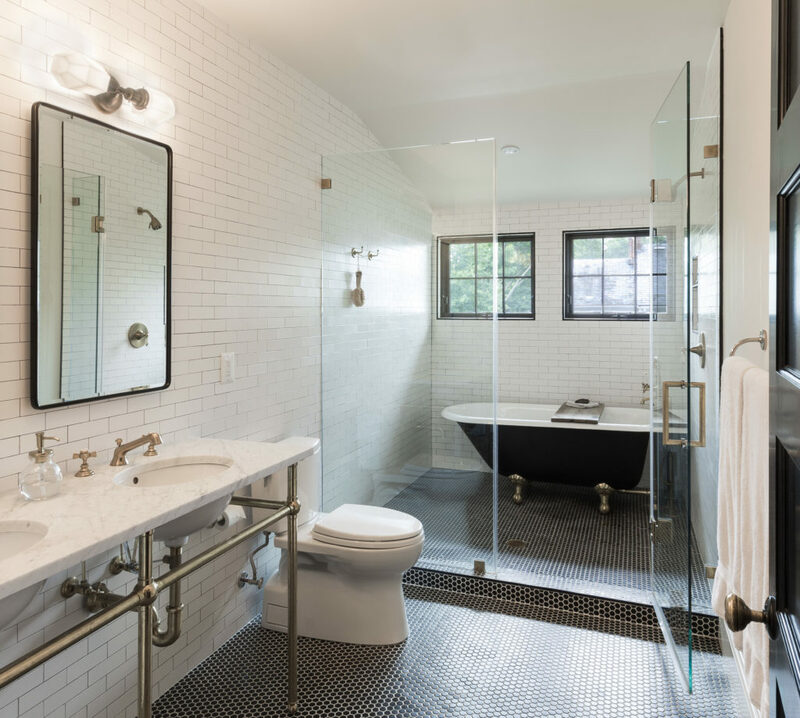 The adjacent kitchen was also reconfigured and renovated as part of the project scope.